We have used TPC for 3 pre-purchase building inspections & they have saved us a lot of money & heartache. Their expertise, knowledge & friendly approachable manner have made the stressful process of looking to purchase a house a more informed & easier decision. I would not hesitate to recommend their excellent service they provide. 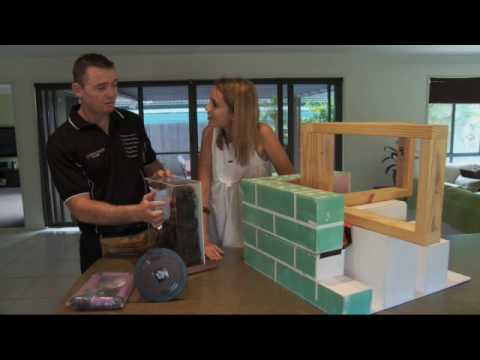 As structural building defects and Termite Damage are found on a regular basis throughout South East Queensland, it really makes you aware of how cost effective a thorough Inspection is. If you’re investing in a property on the Gold Coast and you’re looking at shelling out anywhere from $250,000 to $1 million and in some cases a whole lot more. Doesn’t it make sense then to invest a small price starting from *$500.00 in protecting that investment? A Pre Purchase inspection is an investment, not a cost. Reduce your risk today and Call us 07 55762602 or Quick Quote. “Buying a new home” – Working with an expert Building & Pest inspector is where the value lies for the potential home owner, another set of experienced eyes that makes all the difference. Engaging Two experienced inspectors to carry out a Pre-Purchase Building and Pest Inspection is the only way it should be done. “Your Booking with us” – We encourage you to come along to the property inspection so we can explain in detail any issues found and answer any questions you may have about the property. If you cannot attend, we do email the inspection reports with photos within 24 hours. The decision to buy a property should be determined by the findings on a written report by a Licensed Timber Pest inspector. The pest inspection and report covers 3 types of Timber pests (Termites, Borers and Wood Decay Fungi) and is in accordance with the Australian Standards AS4349.3. A Visual Timber Pest Inspection is provided to give the purchaser an insight on what’s happening within and around the property in relation to timber pests – termites, borers and Wood decay or rot. “Don’t get stuck buying a brand new home with problems“ – Regardless the age of the property, whether 12 months or 80 years, the property may have potential for hazards as well as structural issues. Even if a new home has a builder’s warranty, you’ll still need to get an inspection completed. There are worse case scenarios where the original builder isn’t around to cover the builders warranty, this can happen on the newest of homes. Don’t let your dream home be the worst decision you ever make, Book your inspection today.